This is a guest blog post from Boilermaker enthusiast Ron Ayers. Good luck this year Ron! I grew up in Upstate NY, never ran more than a mile in high school, which is a fun way of saying, I had no idea I grew up with the Boilermaker in my backyard. The concept of going out for a run was not a natural thought that ran through my head. I always associated it with a penalty, or a gym class test. 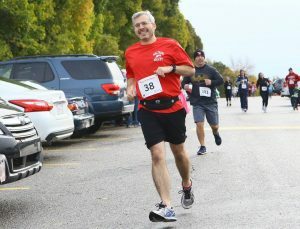 I actually only started because my company had sponsored a local 5K and my colleagues agreed that we would all run it. I agreed to walk it, they emphasized “run.” So… I ran. I found running to be a great outlet for me both socially and competitively. I joined a local running group, the Waltham Trail Runners, and a local racing series, Race Around Waltham, and became immersed in a vibrant running community. Waltham is just outside of Boston. It’s about Utica-sized in population. For having 60,000 people, we certainly have a lot of people who enjoy running. Our running group has 4-5 group runs a week. We have anywhere from 7-10 5Ks, the largest of which draws over 1,000 runners. Being slightly over a mile away from the Boston Marathon course certainly helps, where we are used to the fanfare and runner support. As it goes with runners, we often look for “experiences.” Which led me to the Boilermaker. I specifically remember my Facebook feeds exploding in March with “who is running the Boilermaker?” posts, mainly from my Upstate NY friends. Those posts never stuck out in the past, because, well, I didn’t run. 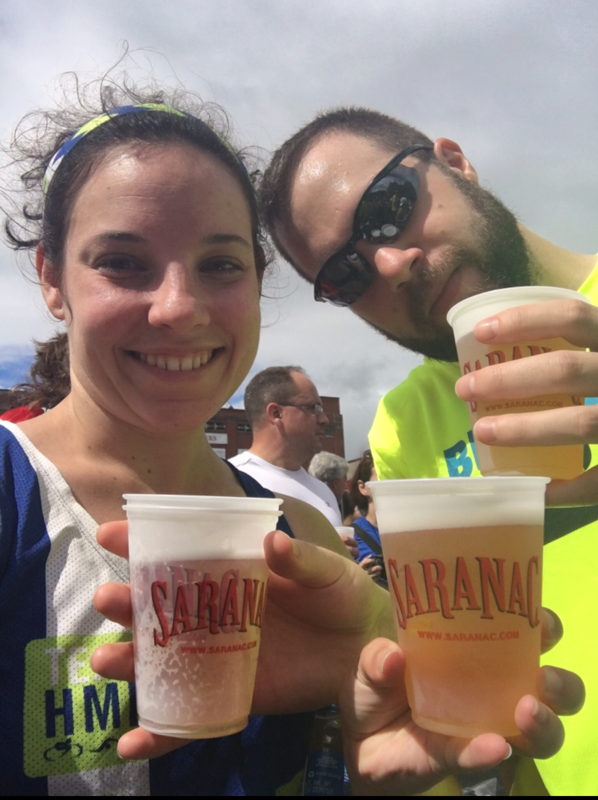 Now they were intriguing, and so I signed up for my first Boilermaker in 2014. Arriving in Utica on race day was a bit surreal, as my largest race at the time may have been a few thousand runners. But it’s not just the runners that make a race “large”, it’s the community. At most races runners are lucky to have a couple of neighbors out there giving us a hardy clap, or maybe a college student attempting to sprint across a crosswalk in front of us. For me the things that make the Boilermaker truly a moment for many runners, are the little things I appreciate along the way, all driven by the community. At the start, I look forward to taking a quick glance down the hill to see the sea of runners ready to go. I enjoy the Mayor giving his “pump up speech” about the greatest race in the world. About 0.1 miles in, we’ll hear the Rocky theme, and then glimpse 9.2 miles to go sign at the right hand side. A long run up the hill into the golf course with a band on the top of the hill signaling the end of the long climb. I look forward to free popsicles around Mile 5, waving to the man on stilts around Mile 7.5, and the long sprint to the finish line at Saranac. All along the way, it’s clear… Utica turns out for this race. It’s the only race outside of Boston that I’ve experienced that have people lining the entire course, cheering the entire way. It’s a runner’s holiday, capped off by a really fantastic party at FX Matt Brewing Company. 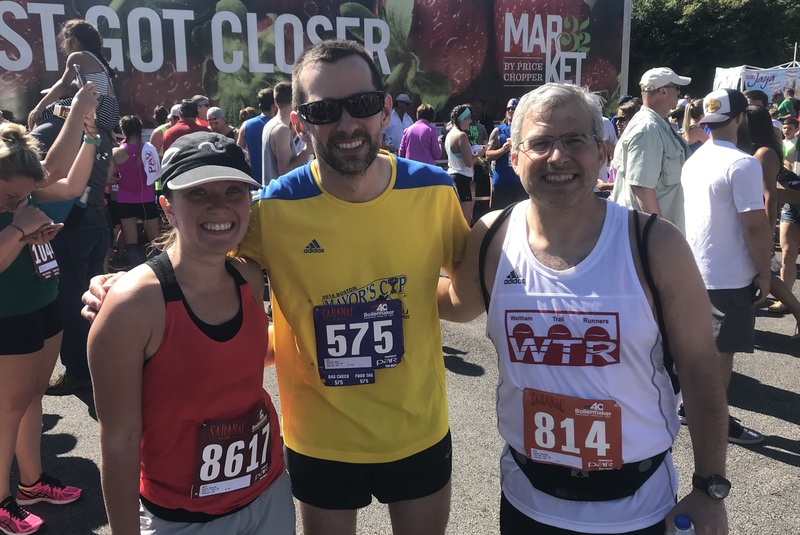 To give you an idea of what the Boilermaker means for me as a runner these days, my running season is typically geared around two days: the Boston Marathon and the Boilermaker. 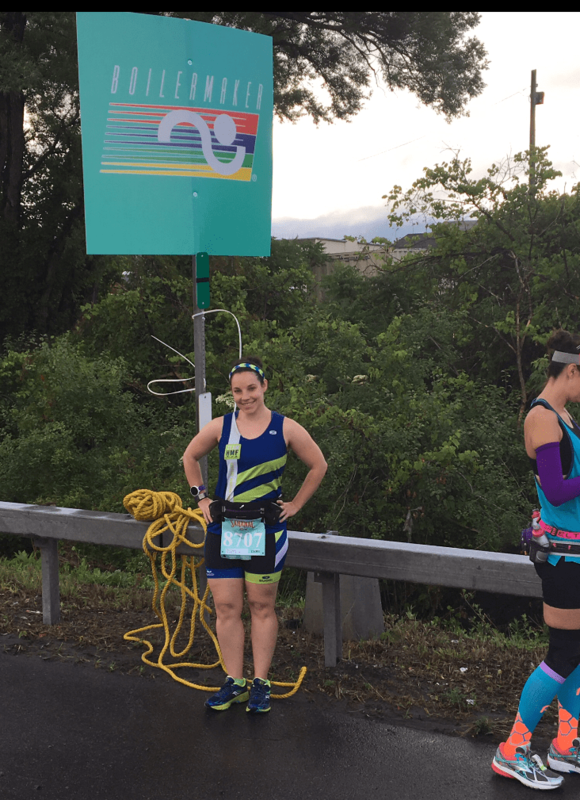 That is high praise for a 15K in Central NY! As a native of Connecticut, the world renowned Boilermaker Road Race was admittedly not on my radar until 2015. I can count on one hand the number of events I have seen that boast a 15K, a relatively unique distance in the world of road racing. But what else is it that makes this event so special that year after year I’ve made the three hour journey from Connecticut to New York to race 9.3 miles on one of the hottest Sundays in July? The Boilermaker truly is “more than a race”. With a mission to “lead the healthy lifestyle movement through exercise and fun” the inclusiveness of the event with its Health and Wellness Expo, kids run, 5K, 15K, wheelchair division, and the Boilermaker Urban Initiative truly allows participation at all levels from the local Utica community and beyond. On Sunday July 10th, 2016 my boyfriend and I toed the start line for the first time with 14,498 others, plus another 4,500 running the 5K. We quickly learned the first few miles is good place to catch a glimpse of two runners who dress as the Blues Brothers every year. Finding and taking a running selfie with them has become a welcomed distraction from the 300+ feet of elevation gain on the first half of the course. After conquering the peak elevation point in the golf course, runners are treated to a glorious downhill as spectators line the streets offering refreshing freezer pops. With only a couple of miles to go, you can high five a man on stilts, run through sprinklers, and enjoy another popsicle if you wish. Cold Saranac beer and snacks await you at the Post Race Party along with the untold numbers of runners and spectators. Every aspect of participating in the Boilermaker has become tradition since our first time running it in 2016. The weekend serves as a mini vacation, starting with a long drive on the I-90 to Mohawk Valley Community College for packet pickup, to meeting my boyfriend’s parents for dinner at restaurants serving Utica staples like Chicken Riggies and Tomato Pie, and stopping for half-moon cookies on our way home from the race. You’ve seen the ads depicting a young child, bald, IV in arm, bravely smiling with his or her family. The child has cancer. The ad tugs at your heartstrings, you think “that poor family” and you move on with your day. Brooke McDonald and I were those kids. Our families were those families trying to smile and lead normal lives while we children battled a deadly disease. Brooke and I were lucky, we beat pediatric cancer, and decades later we are cancer free. But the disease left a lasting impact. In 2014, Brooke and I took action, deciding to help kids fighting the same battle we had years earlier, rather than passively expressing dismay. We founded 315K For the Cure, an organization that has raised and donated over $75,000 to benefit local pediatric cancer patients and their families treating at Upstate Golisano Children’s Hospital. Supported almost entirely by family and friends, our small grassroots organization donates 100% of their proceeds to benefit local families. As Uticans, Brooke and I share an affinity for all things Utica, especially the Boilermaker- the organization’s name is a play on the area code and the 15K race. Using the Boilermaker as a platform, we began fundraising, selling t-shirts and going on group runs. We now encompass a wide array of fundraising events, usually centered around fitness and beer (two hallmarks of the Boilermaker). We’ve hosted fundraisers with Mohawk Valley Wellness and CrossFit Utica, happy hours at local bars and restaurants, golf tournaments, and we throw an annual party at the Celtic Harp the “Halfway to St. Patrick’s Day Fundraiser. “We haven’t done anything extraordinary. We just did something. We created an opportunity for people to help. There are so many people, especially in our area, that want to act, that want to help those families they see on TV or social media fighting cancer. 315K gives them that opportunity. At our core we are just a group of like minded individuals who get together, raise a couple bucks for families in need, and have a good time doing it. It has been nearly two moths since Boilermaker Sunday and already the staff is busy making plans for the 2019 race. At the moment I am sorting out left over volunteer t-shirts and streamlining what feels like endless volunteer lists. The quiet and calmness is a little unnerving after months of hustle and bustle. It was a great race made possible by the countless incredible volunteers who parked cars, directed traffic, passed out water, emptied hundreds of trash bags, sold merchandise, distributed race packets and goody bags, set-up start and finish lines, handed out pins and towels, massaged cramped muscles, tended to a injuries, lifted and delivered fencing and barriers, entertained thousands on the course, and kept runners and spectators safe, from start to finish. This is just a small list of what our community of volunteers does to ensure that the Boilermaker Road Race runs smoothly year after year. Although volunteers receive a t-shirt, a volunteer pin and a volunteer party, “thank you’s” never get old. So from all of us at the entire Boilermaker Office, a huge Thank You for all you do. 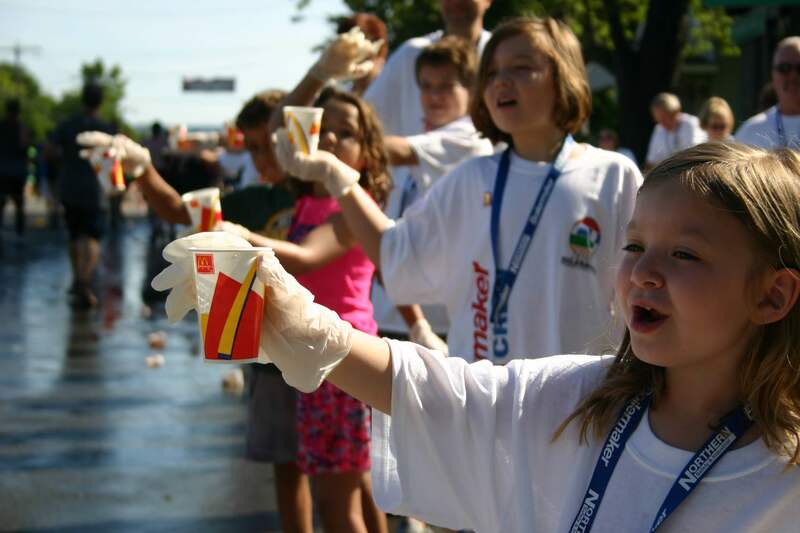 The runners may be the body of this race but volunteers are the heart and soul. If you are interested in volunteering for the 2019 Boilermaker Road Race, check out our website in early March for volunteer opportunities. How Much Sleep is Enough for Runners? *This a guest blog post from sleep expert, Sarah Cummings at Sleep Advisor. How Many Hours of Sleep is Enough for Runners? Any runner who has any idea of what they need to succeed will tell you that sleep is high on the list of priorities. It’s not merely a case of being dedicated to the cause by getting up super early to cram in the miles and slog through sprints when your eyes have just opened, because if you don’t give enough emphasis on your quality of sleep your efforts can all be pretty fruitless when it truly matters come race day! Athletes who “increased their sleep time ran faster sprints and hit more accurate tennis shots than they did while getting their usual amount of sleep,” a sleep study at Stanford University in the United States found, so studies such as these should be enough to make you want to get your sleep game on point! Why is sleep so essential as part of an effective training plan? Sleep has a huge role in a runner’s training plan. What it does is, it helps the ability to make the most of your tireless hours of devotion. No runner wants to pick up an injury, so it’s about staying as fit and healthy as possible; something which sleep can help to fulfill. For runner’s in general, the sport can take over and everything you do will be centred around this all-encompassing sport. There’s a lot to be said for this, and the benefits to running are huge; both on the physical and mental side of things. Sleep in lowered amounts brings on irregularities with appetite-signalling hormones in your brain. If you aren’t receiving enough sleep, you’re much more inclined to feel hunger pangs and subsequently eat more than you actually need to. Clearly, for people looking to stay in peak physical shape, this is not a good thing. Regularly achieve high-quality levels of sleep though and you’ll rid yourself of those unnecessary waves of hunger, and make it easier to remain healthy and keep the diet in check. 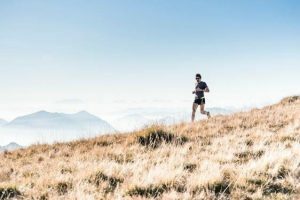 When athletes use the ability to combine a sound night’s sleep with effectual training, it increases your chances of trimming down on your weight; not only this, you’re more likely to keep it off too, the American Journal of Epidemiology explains. The effects of losing sleep include weakening of your body’s ability to store carbohydrates; this is detrimental for endurance athletes such as runners. Another bad thing is having an inadequate sleep space, so make sure that you have a good bed, mattress and pillows in your room to optimise better sleep. One prime example of why sleep really is one of the most important elements of successful training is this that while you’re in the deeper stages of sleep, human growth hormones (HGH) are released. HGH assists in repairing muscle and transforming fat into much-needed fuel, while also helping to strengthen bones. If you remove that quality of sleep, then you have to come to terms with lowered HGH levels. This impact of this is that recovery time is affected after training. What’s more, sleep deficiency can also increase cortisol levels, which are stress-related hormones, which act to slow the recovery time you have. So, just how much sleep does a runner need? Increasingly, we’re seeing more and more elite and top-level athletes aiming to clock up more than the National Institute of Health’s recommended 7-9 hours of sleep per night (for adults), and instead seeking around 10 hours each night. For teenage athletes, you can bump these numbers up by an hour. This is generally the sleep figures to go by if you aren’t involved in regular activities, such as running. Therefore, if you are training several times a week, then there’s absolutely no reason for you to not look to gain an extra hour’s sleep each evening to help with recovery. This isn’t always required by every athlete, because we all know that we’re individuals, so it’s not a blanket rule for all. However, you will be able to determine what your body needs when you sleep for additional amounts of time and you wake up feeling refreshed – and the same goes for if you sleep for a lesser amount of time. What we’re saying here is to not panic if you think you’re not getting enough sleep. Your body is good at letting you know when something’s not up to scratch! One effective way to find out how much you need to sleep is to run a trial over the course of a week’s holiday. Don’t set an alarm, and simply take note of when you go to sleep, and then mark down when you wake up naturally each morning. You can use sleep apps, to help you collate all the data and then work out the average sleep times so that you know what you need to function as a runner. I have learned more about gardening in the past two years here at the Boilermaker than I ever learned in the years of my life before taking this position. More so than that, I have learned how gardening is clearly a metaphor for life. Yes, the “big picture” can be summed up in dirt. A successful bounty starts with great dirt! Umm, sorry, soil. Your soil needs nutrients, microbes to move around, a balance of moisture and warmth and other odds and ends. You need to tend to your soil and get dirty! That is your foundation. In to your soil, your foundation, goes your seeds. These seeds, you have faith will grow, are dependent upon the all that surrounds it (people, weather, animals, etc. ), and at the mercy of the aforementioned. Wait. What? At the mercy of? Yes. Best laid plans and intentions can be undone with a stretch of time with no rain, or too much, for example! People can forget to weed (or simply not take the time), you see where I am going. If your foundation is good and your follow through is great, you will inevitably reap what you sow. It will take time and it doesn’t always look like you are going to reap anything. And therein lies the first lesson: have faith in what you are doing even if you don’t yet see the reward and be diligent in your work. The Boilermaker Road Race was grown in good soil. We had a single idea, a seed, if you will, to create an amazing race. 41 years running proves that was fertile soil and we’ve reaped the joy of successful events! Looking over our success and how it’s impacted our community we felt it was time to expand our “garden”. Which brings us to lesson two: share your harvest with your neighbors. We’ve been working diligently at creating a solid foundation to grow a year-round presences in our community. 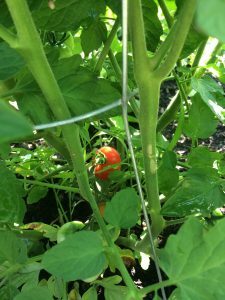 Much like starting that garden we know with the right care and thought it will produce a positive impact but it takes time. The Boilermaker grew steadily over 41 years and our community outreach will too. 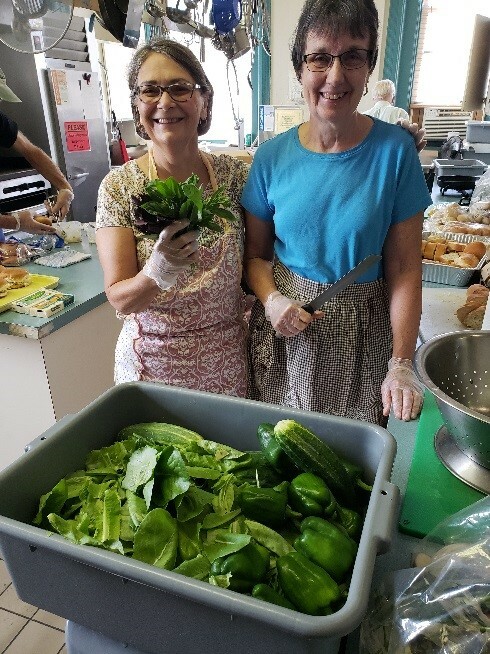 In the meantime we have taken our literal harvest and shared it with Mother Marianne’s West Side Kitchen. When we talk about “Boilermaker Nation” we mean our ENTIRE community. How can we do good things here if don’t start with small gestures of kindness and health? How does our garden grow? Hard work, attention to detail, water, patience and willingness to share. How about yours? 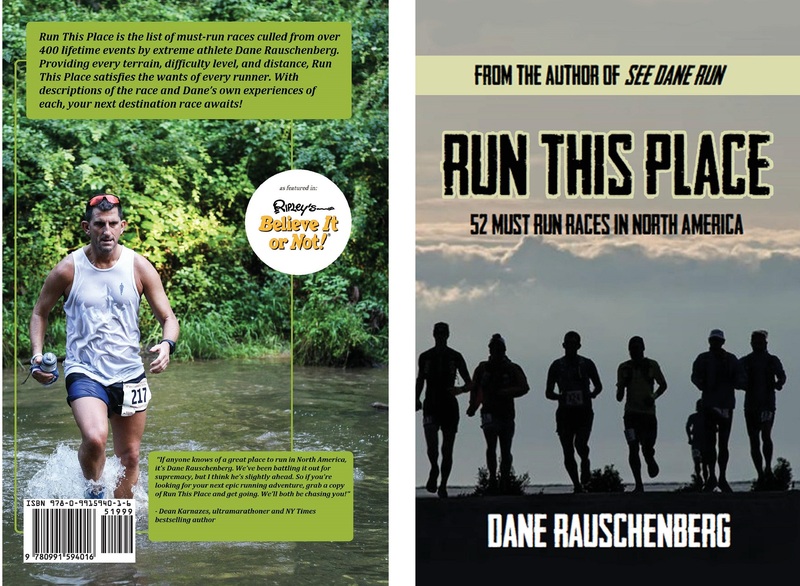 When you write a book of must-run races as I did most recently with Run This Place, and you don’t have a financier receiving hush money from events to influence you in to choosing theirs, there are a lot of factors to be considered in selecting the best of the best. Sometimes you think a race belongs but something about it just doesn’t grab you. Other times it is easy to make the decision and the reasons are abundant. The Boilermaker 15k falls into that category. 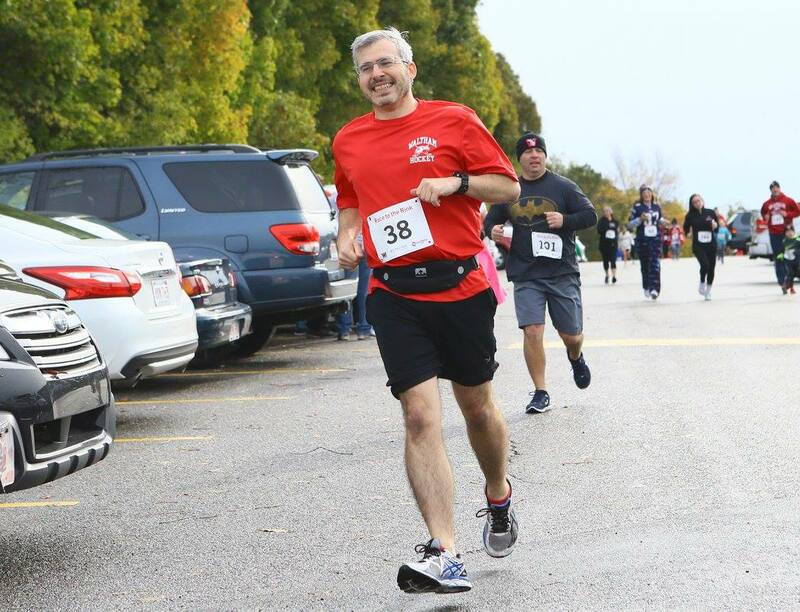 While this will only be my third time running this famed race, it only takes one effort of being in Utica on race day to know why so many people love taking part year after year. The challenging hills are made so much easier by the roaring crowds. The heat of July is cooled by the delicious drinks afterward. In between, the carnival atmosphere never overshadows that this is indeed a race where you want to give your all. If for no other reason than not to disappoint the throngs of people who have come out to cheer you on, you push your limits. Runners currently are in the biggest stage of running this country has ever seen. Race after race is vying for your attention and your dollar. There are gimmicks. Enormous finisher medals. Mud. Soap.Electricty. In other words, if you want to find it, it is out there. But races like the Boilermaker just are. They exist because of the community of people who support it from soup to nuts and make every single runner feel special. 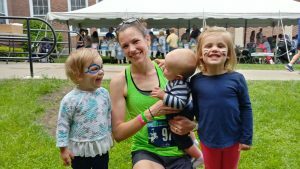 Why am I running the Boilermaker? Honestly, why aren’t you is the more important question. The Economic Theory of Running: Are Runners Just Crazy? Here I am, sitting in the YMCA parking lot feeling a deep sense of dread. First, I need to wake up three kids that are all in a deep sleep, wrangle them out of their car seats, and get them safely inside. Then, I need to push myself through an eight-mile treadmill workout while worrying that I’ll hear “Will the parent for Ryan/Molly/Ruth please report to child watch?” over the loud speaker at any moment. This is my second time here this evening. Thirty minutes ago, after driving through rush hour traffic, I arrived. I unbuckled the two-year-old, reached for the stroller, and then realized I left the diaper bag at home– the diaper bag with all of the absolute essentials needed for this venture. As my two-year-old was angrily chanting “Child Watch, Child Watch!” I buckled her back in, started the van, and drove home. When I finally got back to the Y, all the kids had passed out. So, why do I do this? What motivates someone to go through all this trouble just to get in a run? This question crossed my mind as I sped up the treadmill and I’ve been contemplating it since. Why would anyone be a runner? Approximately five years ago, in what seems like a different lifetime, I was a “practicing” political scientist. Part of my Ph.D. dissertation focused on political behavior and why some people vote and others don’t. One theorist, American economist Anthony Downs, in his An Economic Theory of Democracy, said it may be irrational to vote. He suggested that the question should be “Why would anyone ever vote?” and posited that a person should only vote if the probability of determining the election (P) multiplied by the benefit of the preferred candidate winning (B) is greater than the many costs associated with voting (C). Like Downs’ question of voters, I started asking myself “why would anyone ever run. The costs are so high, and the probability of winning any given race is nearly zero for most runners. So why are 15,000 people going to run the Boilermaker knowing full well that the prize money is out of reach? What do we, the non-elite race enthusiasts, really get out of this? Running hurts. It’s usually not all that pleasant to run hard mile repeats or race an all-out 15k. Why would anyone give up time with family, relaxation, or additional sleep to get in some miles? Why would anyone shell out $30, $50, or $100 to run a race? What benefit could possibly outweigh those costs? When I was 22, I was in graduate school with a flexible schedule and no responsibilities. I was a free bird. Looking back, the costs of running were so low. And yet, I trained sporadically and ran mediocre times. Going out for chicken wings and beer often trumped any desire to go running. 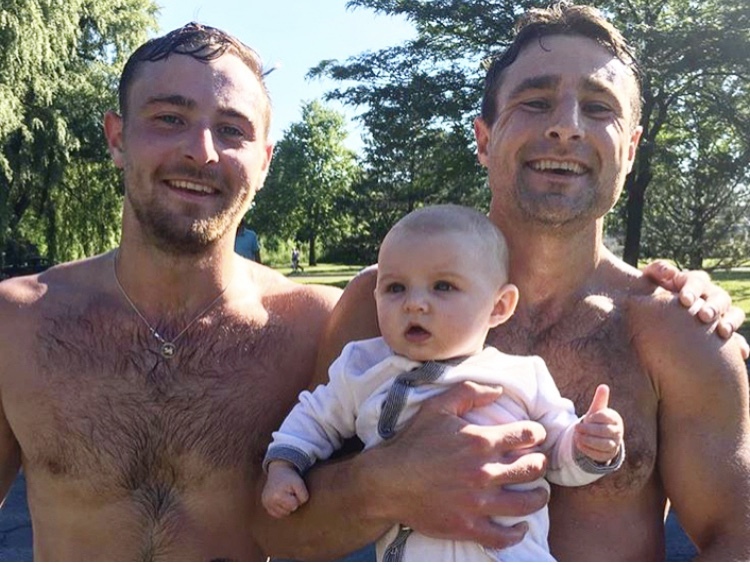 And here I am, 31 years old with a million things going on, and I’ve chosen now to be focused on running personal records and breaking 60 minutes at the Boilermaker. Am I an irrational human being? Maybe, or perhaps despite the costs of running hitting their peak, the benefits are also at an unprecedented high. But what would make running more beneficial to me now? 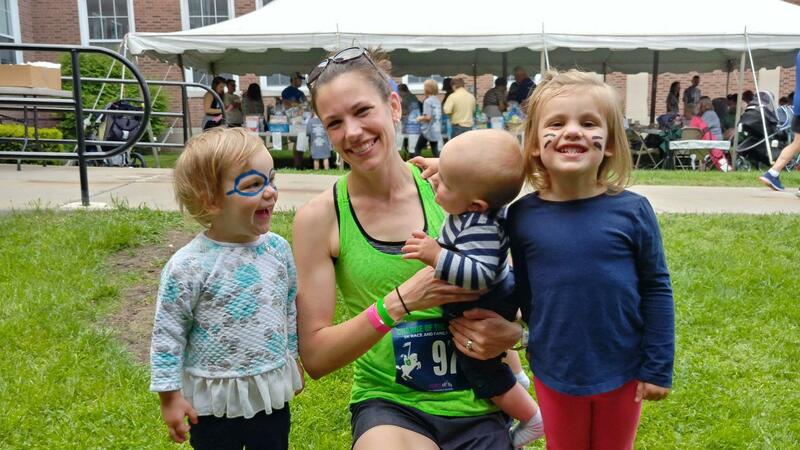 I’ve heard a lot of moms give broad justifications for running, saying things like “running allows me to be a better wife and mother,” and I do agree with that. I am now able to share my successes with my husband and kids, and that is big for me. Today, many of my running benefits are immediate and the temptations against running are limited. One run can allow me to be more patient with my toddlers. It gives me a feeling of happiness and self-worth. And, these benefits come with 100-percent probability. Additionally, the chance of winning races is occasionally greater than 0 for me, and wins give me added happiness. (Why winning results in happiness is another topic I’ll cover whenever I get my Ph.D. in psychology). I also find fun in the general competition (like, perhaps, how some voters find fun in elections even if their candidate loses). As far as the temptations against running go: With kids, I can’t just kick back on the couch anymore. I can’t spontaneously go out for wings and beer. Not running would allow me to avoid some costs, like the guilt of leaving my husband alone with the kids for even more time throughout the day. But, we’ve found ways to minimize the costs. And, these costs actually keep me from procrastinating and encourage me to run each run with purpose and efficiency. I can’t just take runs for granted. For me, right now, the benefits are at an all-time high and the probability of receiving them are usually high. While the costs are substantial, P*B is still greater than C. And because of this, my training has been consistent and I am experiencing all the fun of competitive racing. So back to the original question: why would anyone run? Are runners just crazy? Well, runners do seem to be a special breed that finds joy in pushing the body to physical limits. Runners find fun in competition, even if the probability of winning the race is zero. And for runners, the feeling of self-accomplishment outweighs the costs of shoes, entry fees, lost time, guilt, and physical pain. Runners may be unique, but I’d argue that they aren’t crazy. They are rational actors who find value in all that comes with running. It’s always been hard for me to explain to anyone, including myself, why I feel the need to run. But I do believe it has to do with benefits associated with running and how we perceive them. We find the benefits of self-accomplishment, competition, personal records, and general achievement to outweigh the physical pain, money and time. So, at the Boilermaker start line, when you’re asking yourself, “Why did I sign up for this?,” remember, you are a rational being and it will all be worth it! The author is an information consultant in the Value-Based Payment Analytics department at Excellus BlueCross BlueShield. 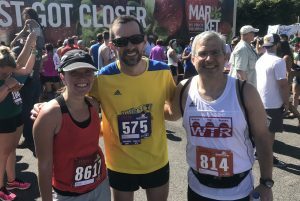 After many years of running in the Boilermaker, three of Western New York long time participants and area race organizers felt that Buffalo, New York deserved a “Boilermaker Style” 15K of its own. In 2017, after 2 years of planning, RUN716 was off and running. With over 1,000 participants in its first year, organizers are looking forward to their 2nd go-round, scheduled for Sunday, August 5, 2018 at 7:16 am. 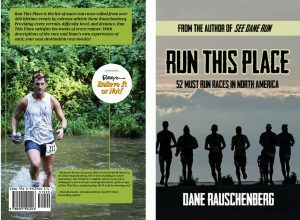 The race is filled with elements that Boilermaker runners will recognize and appreciate. RUN716 is hosted by F.X. Matt Brewing Company’s partner Flying Bison Brewery which located in Buffalo’s revitalized Larkinville District. Similar to the Boilermaker, course features provides a tour of some of Buffalo’s most scenic sites including the canal side and the city’s newly renovated harbor. Even the race’s presenting sponsor, Univera Healthcare, is a subsidiary of the Boilermaker 15K’s presenting sponsor, Excellus BlueCross BlueShield. The best part of all of this? 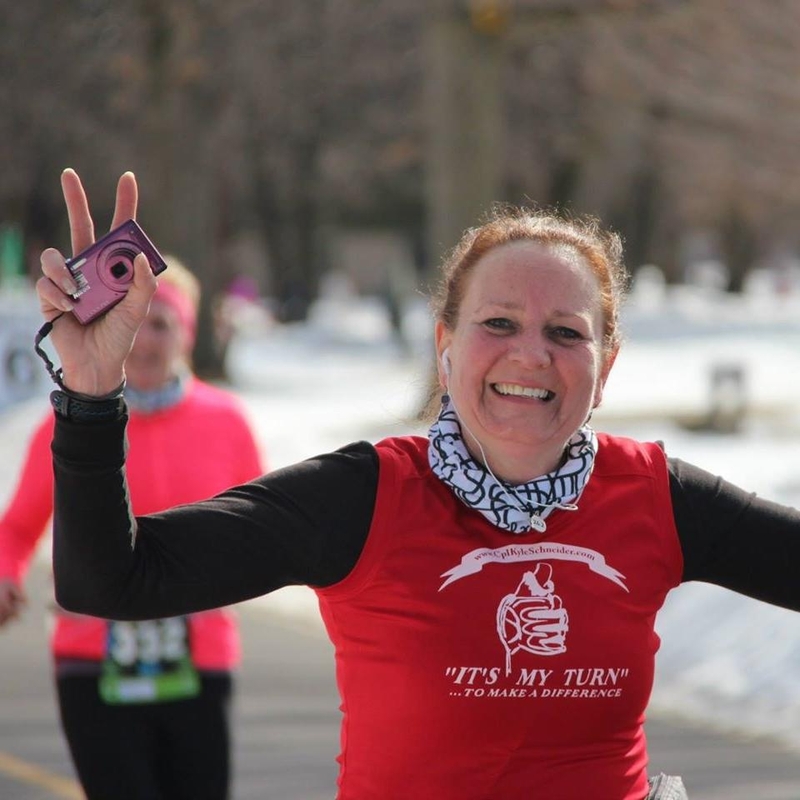 Participants of the Utica Boilermaker get a special savings registration code for Run716. Stop by the Run716 booth at the Fitness Mill health Boilermaker expo to receive your promotional code. RUN716 proceeds help fund the Food Bank of WNY, Buffalo’s Police Athletic League and Opioid Addiction Prevention. The 2018 Boilermaker will be the closest our race ever comes to the 4th of July, our most patriotic holiday and the day our nation celebrates its freedom – including our ability to “run for fun”. 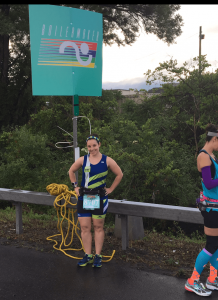 It is therefore appropriate that we share this story from Boilermaker runner Ellen Brunet who runs for a very specific reason: to honor fallen Marine and Baldwinsville, New York native, Corporal Kyle R Schneider. In 2011 I ran The Boilermaker with tears in my eyes and a heavy heart. 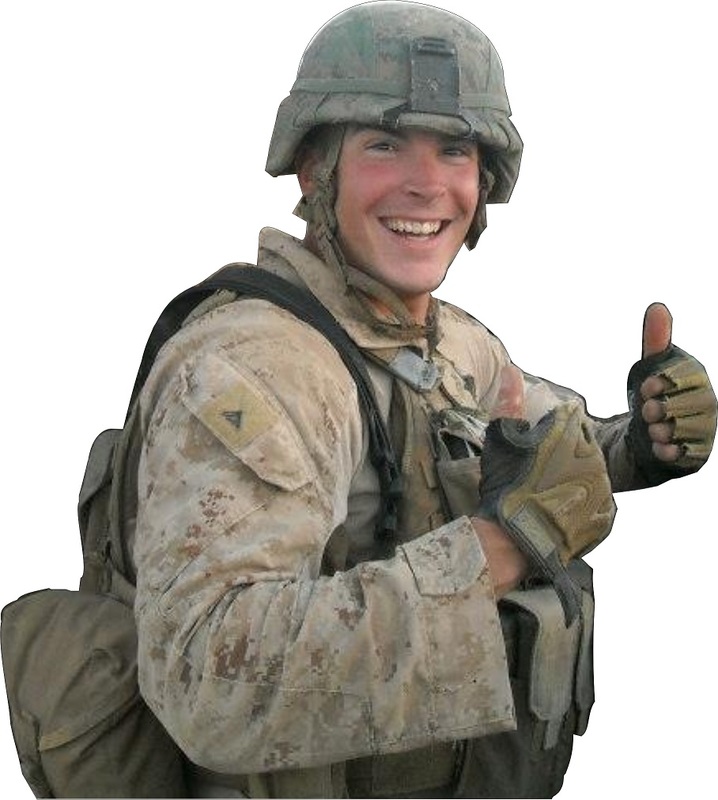 My friends’ son, Corporal Kyle R Schneider, had been KIA while serving with the Marines in Afghanistan just a few weeks prior. That race was the beginning of my new purpose for running: To honor and remember Kyle. A few months later I asked Kyle’s parents if I could run the Marine Corps Marathon to honor their son. When I got to mile 26 they were waiting for me and, from the finish line, together we walked to Section 60 Grave 9720 in Arlington National Cemetery to visit our hero. That was over 200 races and 20 marathons ago. Sometimes during a race, while facing down tough a hill or extreme heat, I remind myself why I do what I do. That mile in Arlington with Kyle’s mother and father will always be the hardest of my life. Our freedom is a gift; a gift that our military gives to us so that we can enjoy days like Boilermaker Sunday. What we do is easy, what they do is hard. The Schneider’s biggest fear is that their son will be forgotten. Kyle’s motto was: “It’s my turn to make a difference”. That’s what is on the front of our Freedom Team shirts. Kyle’s photo is on the back. During every race I have people ask me about Kyle and they tell me about their father, their brothers and sisters, or their own service. I never met Corporal Schneider but there’s no person who has influenced my life more. His legacy alone makes me want to be a better person – to Honor our military and their families in all that I do. On race day look for Corporal Schneider’s image among the runners and also take a moment to remember, our freedom is not free.